I seem to be getting back the urge to work with yarn….maybe it’s the darker nights and the cooler days that seem to be creeping upon us, or maybe I am starting to nest! I have a stack of yarn in the bottom of my yarn box that I have no idea why I purchased, but it was begging to be used for a small project. 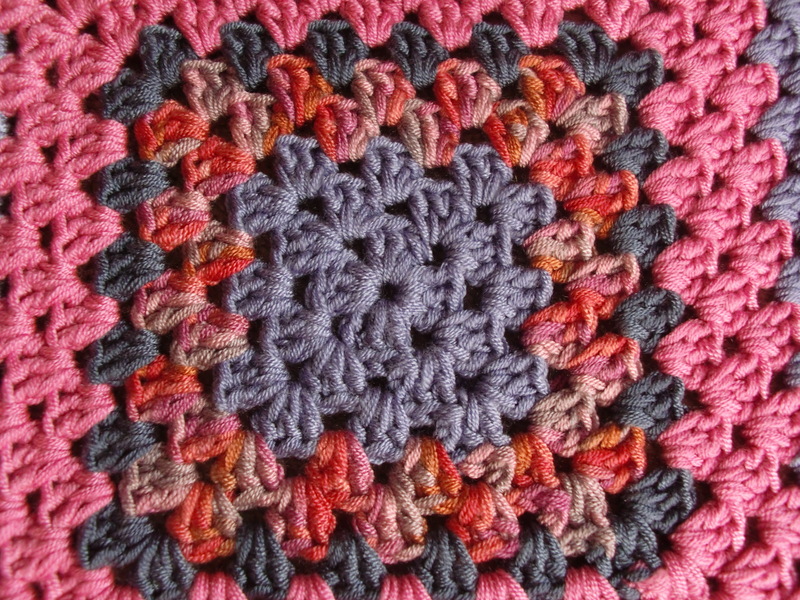 So I have embarked on a relatively mindless project….a great big granny square!! 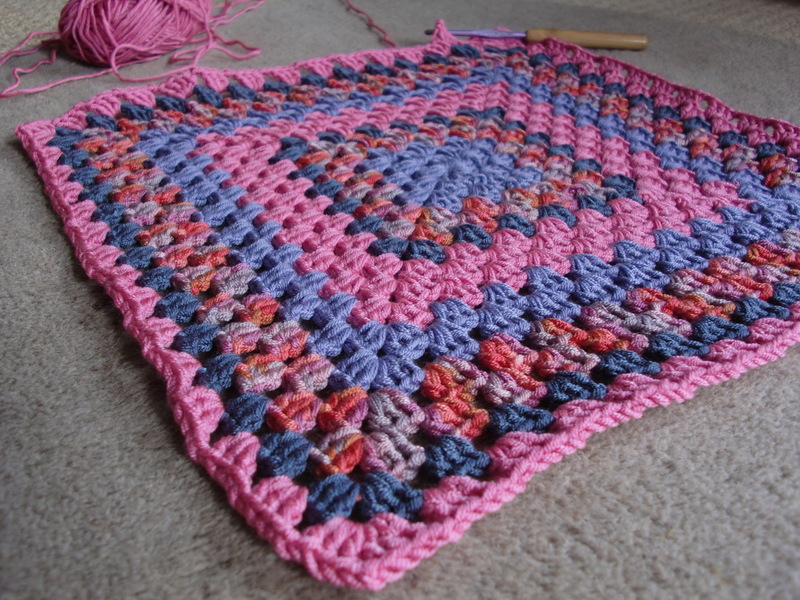 I had rather hoped that there would be enough yarn to make a baby blanket, but I have a felling that I am going to run out and it might just end up as a rather large blanket for a doll….